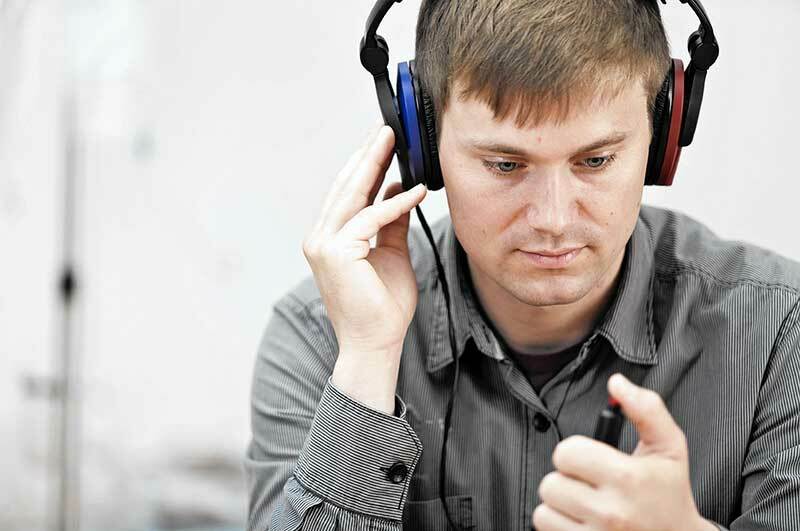 Hearing Test May Identify Autism Risk. Researchers have identified an inner ear deficiency in children with Autism that may impact their ability to recognize speech. The findings, which were published in the journal Autism Research, could ultimately be used as a way to identify children at risk for the disorder at an early age. "This study identifies a simple, safe, and non-invasive method to screen young children for hearing deficits that are associated with Autism," said Anne Luebke, Ph.D., an associate professor in the University of Rochester Medical Center Departments of Biomedical Engineering and Neuroscience and a co-author of the study. "This technique may provide clinicians a new window into the disorder and enable us to intervene earlier and help achieve optimal outcomes." Autism Spectrum Disorder (ASD) is a neurodevelopmental disorder characterized by impairments in social-communication skills and restricted and repetitive behaviors. While many signs of ASD are present before age two, the majority of children with ASD are not diagnosed until after age four, which means that corrective therapies are started later, delaying their potential impact. One of the challenges to early detection of ASD is to find ways to identify children at risk for the disorder sooner and in children with speech delays. Some of the earliest and consistent signs of ASD involve auditory communication, however, most tests rely on speech, and are often ineffective in children who are very young or who have communication delays. In the new study, researchers used a technique that measures what are called otoacoustic emissions. The test is akin to the screening that many newborns must undergo before leaving the hospital to check for hearing problems. Using miniature speaker/microphone earplugs, the researchers were able to measure hearing deficiencies by listening for signs that the ear is having difficulty processing sounds. Specifically, the device's highly sensitive microphone can detect minute sound emission made by inner ear outer hair cells in response to certain tones or clicking sounds. If these cells are not functioning properly, the device fails to detect an emission which indicates that inner ear -- or cochlear -- function is impaired. The researchers tested the hearing of children between the ages of 6 and 17, roughly half of whom have been diagnosed with ASD. They found that the children with ASD had hearing difficultly in a specific frequency (1-2 kHz) that is important for processing speech. They also found a correlation between the degree of cochlear impairment and the severity of ASD symptoms. "Auditory impairment has long been associated with developmental delay and other problems, such as language deficits," said Loisa Bennetto, Ph.D., an associate professor in the University of Rochester Department Of Clinical and Social Sciences in Psychology and a co-author of the study. "While there is no association between hearing problems and autism, difficulty in processing speech may contribute to some of the core symptoms of the disease. Early detection could help identify risk for ASD and enable clinicians to intervene earlier. Additionally, these findings can inform the development of approaches to correct auditory impairment with hearing aids or other devices that can improve the range of sounds the ear can process." Because the test is non-invasive, inexpensive, and does not require the subject to respond verbally, this technique could be adapted to screen infants, an approach that the team is currently exploring.